Dedicated to designation and degree holders. The Alumni Association of The American College of Financial Services fosters and strengthens the relationship between The College and its alumni and friends. The Alumni Association preserves and promotes The College’s traditions, purposes, growth, while also serving as an alumni network. All individuals who have been awarded a designation or degree by The College are granted membership in the Alumni Association. The Alumni Association Hall of Fame was established in 2005 to recognize graduates who embody what The American College stands for — integrity, professionalism, volunteerism, and dedication to education. Each year The College elects a new inductee into the Hall of Fame and honors them in a formal ceremony. Christopher O. Blunt, CLU®, ChFC®, CAP® was inducted into The American College of Financial Services Alumni Hall of Fame in 2018 in recognition of his extraordinary professionalism, commitment to the industry and to the mission of The American College of Financial Services. See the current and past Alumni of the Month here. 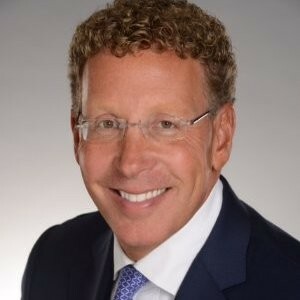 This past October, Harris Fishman, CLU®, ChFC® received a prestigious leadership award at the inaugural Corporate Philanthropy Conference presented by The Philadelphia Inquirer. As President & CEO of MassMutual Greater Philadelphia, Harris has spearheaded many philanthropic projects for the firm. Under his leadership, the firm is a $5,000 perennial sponsor of Easter Seal of Southeastern Pennsylvania annual Walk with Me Event. On top of this gift, his firm raised an $2,000 additional dollars through employee fundraising. Over the years, MMGP has hosted more 7,500 adults and children at their Special Needs awareness Night. They also partnered with the Philadelphia 76ers to offer MassMutual’s Future Smart Challenge to more than 2,000 middle school students from Philadelphia area schools. Students participated in an educational seminar to learn the importance of savings, career choices and college. The American College Alumni Association congratulates and applauds Harris and his colleagues for their outstanding work in the Philadelphia community. NMS Capital Advisors, LLC (“NMS”) a leading global focused investment banking and asset management firm, announced this summer that Heather Castle has joined the firm as Director, Wealth Management. Ms. Castle, who has more than ten years financial services industry experience having previously worked at such firms as Fidelity Brokerage Services, Stifel, Nicolaus & Co., Morgan Keegan and Sterne, Agee and Leach, joins the NMS team strengthening its wealth management division. Stacey Lavender-Mayes, Chief Compliance Officer and Executive Vice President, Operations said “It’s a pleasure to welcome Heather to the team. With an impressive track record having worked at some of the most respected firms in the industry, and even more importantly, uncompressing standards related to her ethics and client’s needs, we all look forward to working with her”. Congratulations Heather! Forbes Magazine’s inaugural list of “America’s Best-in-State Wealth Advisors" included alumnus Fred Dawson. The list comprises a select group of individuals who have a minimum of seven years of industry experience. The ranking, developed by Forbes’ partner SHOOK Research, is based on an algorithm of qualitative and quantitative data, rating thousands of wealth advisers and weighing factors like revenue trends, AUM, compliance records, industry experience and best practices learned through telephone and in-person interviews. Awesome news Fred! The South Tampa Chamber of Commerce Board of Directors selected Gary LoDuca to serve as treasurer for a term of three years. We are proud of alumni like Gary! Study groups can make a tremendous positive impact on your career and your practice. Members find great benefit in sharing ideas, and asking for feedback in an open and honest setting, with like-minded peers. Since 2011, the West Palm Beach CAP® study group has met to share their experiences and perspectives on philanthropy. Its founders, Margaret May Damen, Lori Denison, and Richard Flah, mobilized a diverse group of trust and estate attorneys, financial advisors, life insurance professionals and nonprofit leaders who shared their vision to meet and continue their learning from each other. Later, the group launched Advisors for Philanthropic Impact (API), a network of advisors to facilitate new CAP® study groups. In addition to the groups, API decided to spark philanthropic spirit in local middle and high school students inviting the students to submit community and social service projects to the Palm Beach Philanthropy Tank – styled after the popular broadcast show Shark Tank. Your giving has a great impact. All designation holders maintaining a current status in the Professional Recertification Program have access to a wealth of up-to-date educational material directly related to his/her designation program(s), as well as webcasts, premium third-party content, and educational videos. Use My Portal to access the Professional Resource Center. View the current edition of Connections here. Educate your clients about why your designation is an important mark of professionalism, credibility, and trust. View sample Advisor Brochures here. The College offers a number of events open to alumni.